We offer a unique setting for special events such as weddings, receptions, and recitals. Century-old woodwork, historic chandeliers, and original art pieces provide the backdrop to your celebration or performance. Stained glass panels light the hall to bathe your gathering in warmth. Stop in during gallery hours to view our space or attend a concert to sample the acoustics. 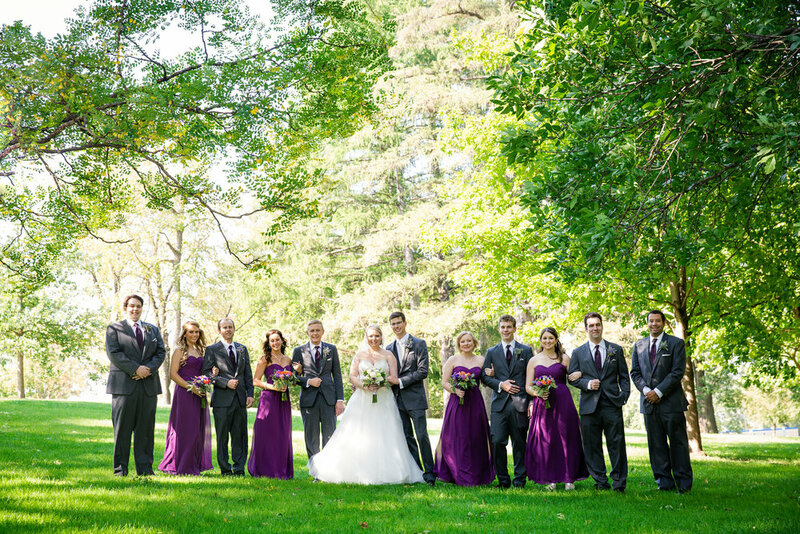 In addition, Owatonna Arts Center is located on beautiful grounds that provide a lovely background for photographs. From a recent wedding - "I know that one of the main reasons that my daughter, Rachel, chose the Arts Center was for photography purposes that the grounds offered and the historic interiors." Space is available to seat 125 at tables for dinner, or 200 theater style. Please call us at 507.451.0533 or contact us below for information.